Hello everyone and congratulations on the Store Champ wins! The SSCI will start at 10am EDT on Saturday, so please be available at your computers with your phones charged at least 15 minutes beforehand. Announcements will be made in this . Please review the rules of the tournament before participating. Round start and end times will be announced here. Finally, here is a list of players who currently have submitted decks and will be playing in the tournament. If you name is not on the list and you wish to play, please contact me ASAP. –you will be doing the Challonge data entry? We will not need to enter results like in league play? 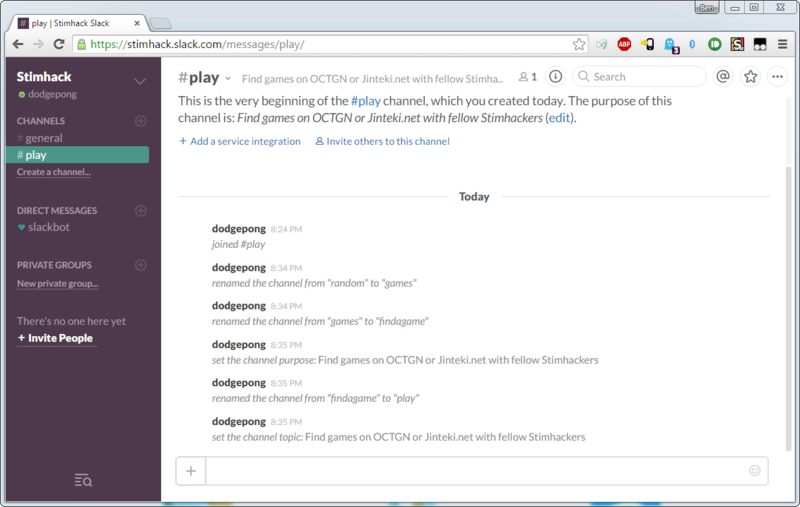 –never used slackchat, how important will that be? About the round reports form: we’re on the old tournament rules, right? So 2 points per win, 1 for a draw or timed win? These are not the pairings! Player pictured on top please make game, player on bottom join. Should top or bottom run first, to make things easy? What’s the plan/ruling for disconnects? Message/call a judge (me) on disconnect if it is in question, but in general if the game has not been going on very long the non-dcing player has the choice to make it a instant loss for their opponent or to restart the game. Are you on Slack btw? Might be easier to handle messages there. I will get on Slack as well! THESE ARE THE PAIRINGS. PLEASE DO NOT BEGIN YOUR GAME UNTIL THE ROUND START TIME. Player pictured on top please make game IN THE COMPETITIVE TAB, player on bottom join TOP PLAYER RUNS FIRST. Please include Player who creates the game, allow spectators but not hand visibility. FEATURE MATCH IS GROGBOXER VS RTSA. FEATURE MATCH GAME CREATOR, PLEASE ALLOW SPECTATOR HAND VISIBILITY. IF YOU NEED A JUDGE, CALL THIS NUMBER. PLEASE CALL ONLY IF NECESSARY, can also message @sneakysly on stimhack slack or in these forums for less urgent issues such as no-show opponents. what’s the slack page address? Heads up! BOTH PLAYERS SHOULD FILL OUT THE RESULTS FORM. Try to message your opponent if they are not hosting the game. Message me if your game was inputted incorrectly. FEATURE MATCH IS BLUEBIRD VS ROMANOSOPRANO. FEATURE MATCH GAME CREATOR, PLEASE ALLOW SPECTATOR HAND VISIBILITY.